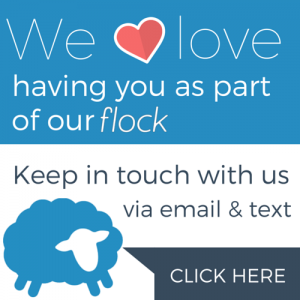 –What do you need to do to Register your child for Faith Formation? 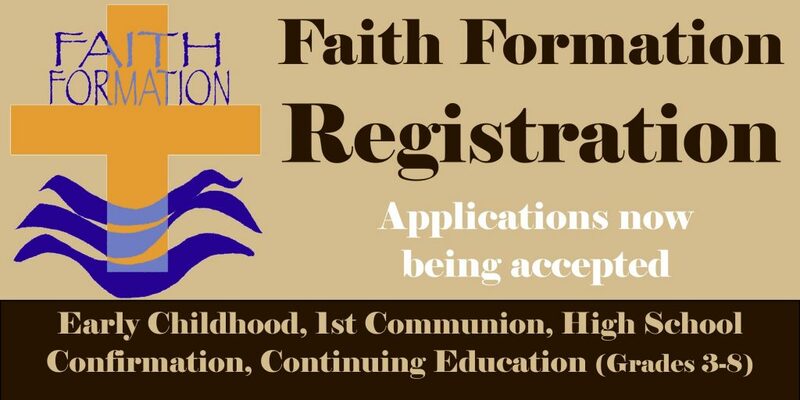 Registration for the 2019-20 Faith Formation Classes starts on March 17, 2019 for continuing students and May 1 for new students. Registration forms for new students for Early Childhood, Elementary and Junior High can be picked up at the Parish Office or downloaded here starting March 17, 2019. Current RE families please turn in the orange registration form given to you on March 17, 2019 or call Michelle at (562) 598-0519 to request a new form. For High School Confirmation see information below. Current and New students need to register. Remember, it is an Archdiocesan requirement to have two consecutive years of religious education in order to receive sacraments. Completed registration forms and fees must be hand delivered to the parish office. A copy of the Baptismal Certificate must accompany all NEW registrations. Even if a child was baptized at St. Joseph Parish, a copy of each necessary certificate(s) must be included for all children who are registering for Faith Formation for the very first time. Early Childhood meets on Sunday mornings, September 22, 2019 to May 17, 2020 from 10:30-11:30 a.m. The program is for ages 3, 4 and Kindergartners. This fun-filled class provides the children a time to be with others their own age and learn of the Gospel in a way that is age appropriate. The children play, pray, do crafts, and have music time. They learn about the weekly Gospel and our Catholic Traditions. Our dedicated teachers have worked hard to make “Sunday School” a fun place to be! Please join us! Elementary Faith Formation meets on Sunday mornings, September 22, 2019 to May 17, 2020 from 10:30-11:45am. This programs is for children grades 1-5. 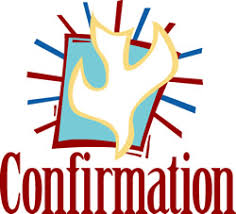 1st Reconciliation and 1st Holy Communion Preparation is a two-year process. Generally children begin in Grade 1 and receive their Sacraments in Grade 2. Several special workshops and retreats for parents and children are held during both years to help in the preparation. Older Children (above Grade 2) are welcome to begin or continue in the Sacrament Preparation Program at any grade level. Families will be directly involved in all Sacramental Programs. Faith Formation is not just about 1st Reconciliation and 1st Holy communion. We encourage all children to continue their faith journey from elementary through middle school. Our continuing education program for grades 3-5 is called Kids Quest. This program helps our older elementary children learn about their Catholic Faith by reading the Holy Scriptures and then follow-up by doing hands-on projects, prayer experiences, video presentations, Mass preparation and community outreach. Middle School 6th-8th Grades sessions are Tuesdays 7 – 8 p.m. October 1, 2019 through April 28, 2020. This program helps our young teens learn about their Catholic Faith by putting it into ACTION! They learn through reading the catechism and Holy Scriptures and then follow-up by doing hands-on service projects, prayer services and have community fun! Every middle school student receives a St. Mary’s Catholic Youth Bible and is encouraged to read it daily! Middle school is the beginning of Youth Ministry at St. Joseph. Tweens are also invited to monthly Youth Activities (ON THE EDGE) for all Middle School Students, they can invite their friends, too! Baptism for Children Grade 1 and above is called the Rite of Christian Initiation. This process is family-centered. Children are expected to attend Religious Education classes according to their grade level. Parents will be included in sessions for the family—dates to be scheduled after interview with family.